I'll make the dungeon entrance for you, should be ready soon. Fixed a texture issue with the dungeon door and emailed it through. Let me know if there are any issues or if you would like more detail/polygons. I made it as simple as possible to avoid performance issues. OK, I'll work on the bow then. Keyframes with 3ds, I guess? 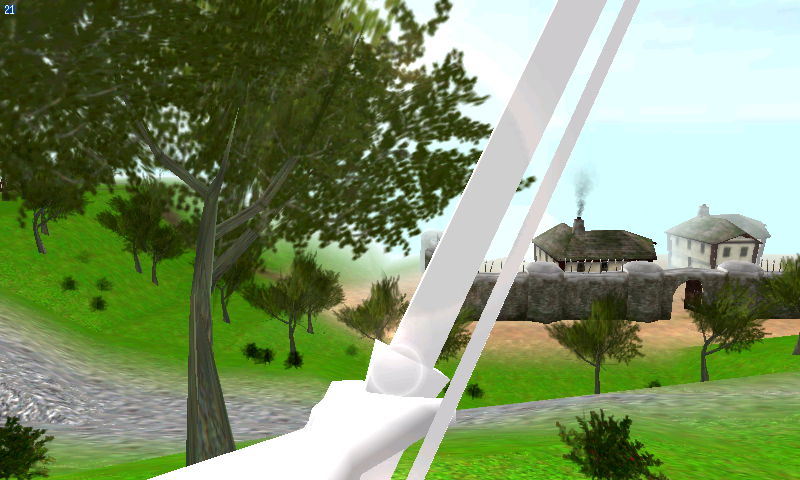 This is an untextured hand and bow just to try out. It has about 350 faces or something. If it exported properly and looks OK, I'll texture and animate it. The dungeon entrance is in...of course, you can't enter it ATM. 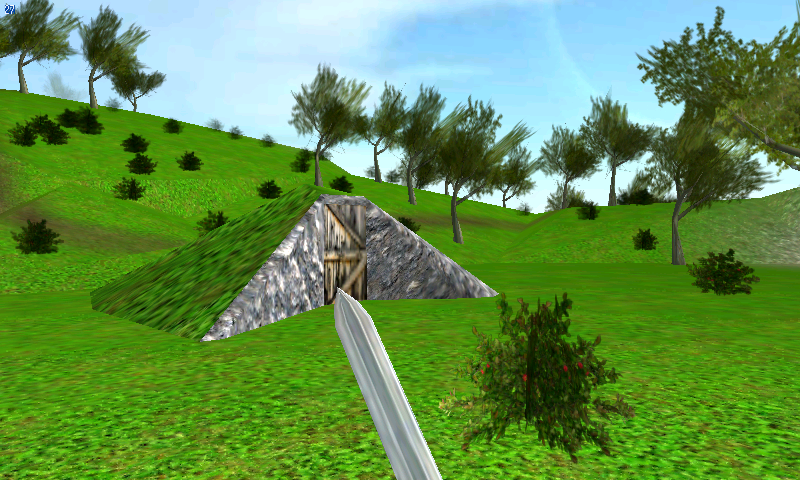 I've replaced the stone and the grass textures to recycle what i use for the terrain and the door texture, because it had a turbosquid watermark in it. It would be great if you could change the tiling for the grass texture...maybe *2 or *3, so that it fits the ground better. I'll try the bow tomorrow or at the weekend. I really appreciate all the help that i'm getting. This really helps me to overcome some hurdles in the development of this thing. Look good, yeah those textures were just temporary ones. 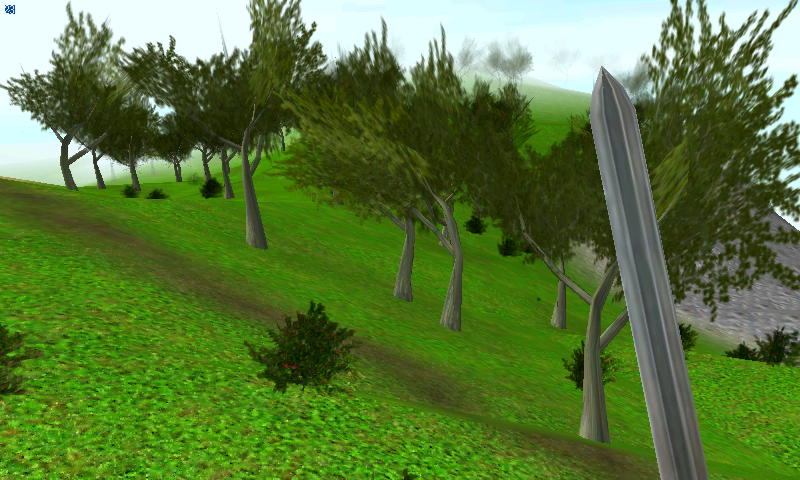 I'll multiply the grass texture later today. If you could send those three textures to me that would be great since I'll be able to align the coordinates to match your specific textures. Version 3 looks just perfect, thank you. Edit: Maybe the string is a bit large? Half the size would do better IMHO. OK, I'll bring down the string size, texture and do the animation. I think 3 key frames should do it. One with the arrow at no bow pull, then one in between, and one full back. Also, an arrow alone in case you need it in flight or stuck into something. Blender made a lot of changes so I hope it works out. The arrow may be a little long but I didn't notice till I was finished. The arrow is just black, no texture. The bow and arm are supposed to be simple textured. I'm not the greatest in Blender, especially with all the changes they made. If it doesn't work, I can try again. Looks good in the viewer...i'll try to add it to the "game" during the weekend. Today, inspired by this "tree shadows" discussion lately, i decided to give the texture based solution another try and i baked a very simple, very subtle blob shadow into the ground texture for each tree. It looks ok IMHO. If nothing else, it makes the terrain appear more bumpy when many trees are in view, which isn't a bad thing. It looks a lot better I think. Didn't that increase texture size?